Offering everything that meeting organisers and planners look for in a destination, the thriving capital of Latvia is one of Europe’s most innovative and affordable meeting locations. Located within a short flying distance from most major European airports, the city of Riga is connected to over 80 international destinations via more than 300 weekly flights. Ideally positioned between its Baltic and Scandinavian neighbours, Riga offers an enriched history and a unique cultural heritage that spans over 800 years. The city’s compactness is one of its defining features, making it possible for visitors and travellers to walk from venue to venue exploring the capital’s unique mix of historical architecture and modern structures in the most sustainable way possible. 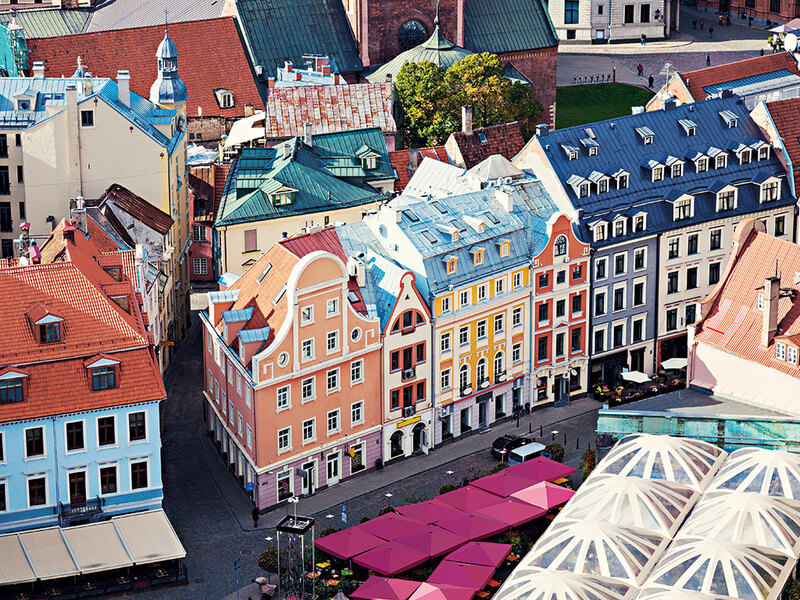 Riga’s endless incentives for business travellers include more than 80 hotels with a total of 12,500 beds, along with a vast array of exclusive and colourful meeting settings that make the city perfectly suited for hosting conventions and delegations of all sizes. Furthermore, Riga is currently undergoing an extensive expansion: over the next two years, more than 1,500 additional hotel rooms will be added to its already respectable accommodation figure. The city’s development plan, which commenced in 2014 and is due to be completed in 2016, will see the Latvian capital opening its doors to a selection of newly built hotels, including Kempinski Riga Hotel, Mercure Riga Centre Hotel, Metropole Riga Hotel, Wellton Hotel Riga, Hilton Garden Riga and Pulman Old Town Riga Hotel. With all hotels in Riga already offering free Wi-Fi – a citywide requirement – and many holding Green Key certification (an eco-label awarded to around 2,400 hotels worldwide), business travellers and meeting planners alike are sure to find accommodation perfectly suited to their needs. In addition to these extra beds, a series of supplementary conference rooms and professional multi-purpose meeting venues will also be added to the city’s repertoire. Riga’s existing venues include the Great Guild House, a magnificent building that dates back to the 14th century, and the one-of-a-kind Riga Latvian Society House, which boasts a contemporary feel through its striking steel and glass exterior. As for pre- and post-conference activities, visitors will be dizzy with choice: Riga’s cultural catalogue includes influences from Germany, Sweden and Russia, with modern Latvian cuisine offering a sublime mix of flavours that stem from the country’s international inspiration. Whether travelling in a small group or a large delegation, Riga’s cost-benefit nexus plays a key role. The city undercuts its competitors by providing incredibly high value for money while simultaneously outperforming more ‘traditional’ destinations in terms of customer service. Not only is Riga known for its rich history and culture, but also, when it comes to hospitality and efficiency, the city’s well-trained workforce – famous for its friendliness, delicacy and discretion – cannot be outdone. Meet Riga is the city’s official meetings and conventions bureau, boasting a list of endorsed partners that includes many of Riga’s major hotels, event venues, destination management companies, professional congress organisers, incentive agencies, chartered bus and car rental services, and the commercial airline AirBaltic. Meet Riga believes that collaborating with local and international businesses is the best and most effective way of providing excellent services to visitors and travel planners. After contacting the bureau, customers will be presented with an extensive list of possibilities to help plan their upcoming event, as well as a series of special offers, advice and inspiring new ideas for before, during and after the occasion.